Each Expedition is approximately 6 - 8 weeks in length and challenges students to learn new skills and apply them in a way that makes learning fun. When learning is fun, students absorb and retain more. Kids need to get up, get together, and play to learn. Our Kindergarteners' first Expedition is a study of toys and play. They answer these guided questions: what makes something a toy? What makes toys fun? Students build citizenship, discussing norms and behaviors for playing together. They learn to sort and describe toys by specific words. They also begin to think about perspective as they discuss and write about their own toy preferences, using language and ideas from the anchor texts. They put their learning togther to interview a classmate about their preferred classroom toy and create and writing and drawing piece about how he or she plays with it. In this Expedition students build their literacy and science skills as they study the weather. How can we prepare for all kinds of weather? How do we experience the weather where we live? Students study the science of weather together, journaling thier learning in a meterologist's notebook. Students broaden their study as they think about how weather affects people in different places around the world. Students also read and retell several stories about the experiences of children in different types of weather. They use The Snowy Day by Ezra Jack Keats as a model for a story about how the weather on a particular day affected what a person wore and did. Drafting is strong practice of creating High Quality Work at Inspire. Kindergarteners will revise, edit, and practice reading their original narratives in preparation for sharing them with families and friends. Expedition #3: Researching to Build Knowledge and Teach Others: Trees are Alive! Students explore the big idea that all living things in the natural world have needs in order to survive and grow. Through observation, students look at patterns in the ways that living things meet their needs. Kindergarteners become researchers and scientists. 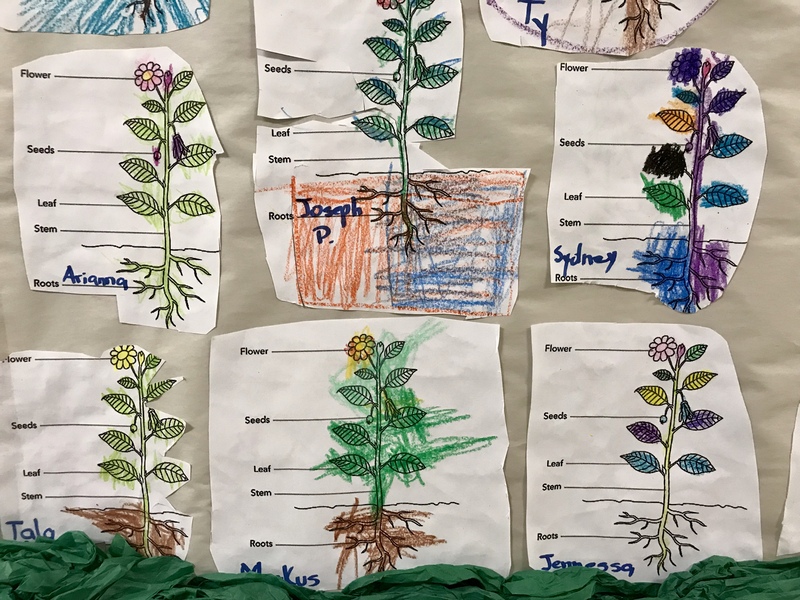 Students plan and conduct investigations such as closely viewing various living things, caring for seedlings and observing what happens over time, and recording their observations in a Living Things research notebook. Students also focus on the needs of animals as living things and how trees help to meet those needs. Students build on their understanding by researching a specific tree in small groups. 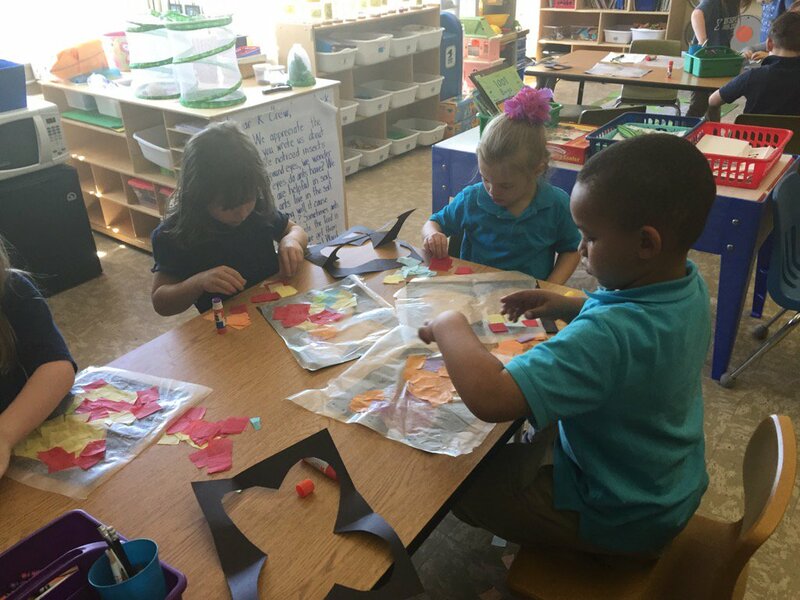 They then use their learning to create an informational tree collage, which includes a collage, informative writing, and an animal puppet. They revise their writing and collage and practice presenting their work in preparation for sharing it with families and friends. Students continue to build on their scientific knowledge of trees from the last Expedition by exploring the importance of trees to people and their communities. Trees fill needs in our communities! Kindergarteners read about the ways planting trees can contribute to a community. By studying A Tree Is Nice by Janice May Udry, they learn to name an author’s opinion or point and identify the reasons, within a text, that the author gives to support that point. They read Mama Miti: Wangari Maathai and the Trees of Kenya by Donna Jo Napoli and explore different places in a community where trees might be planted through observation of pictures in order to continue gathering information about why and where people plant trees. They then use these skills andinformation to form and write opinions about where they would choose to plant a tree. 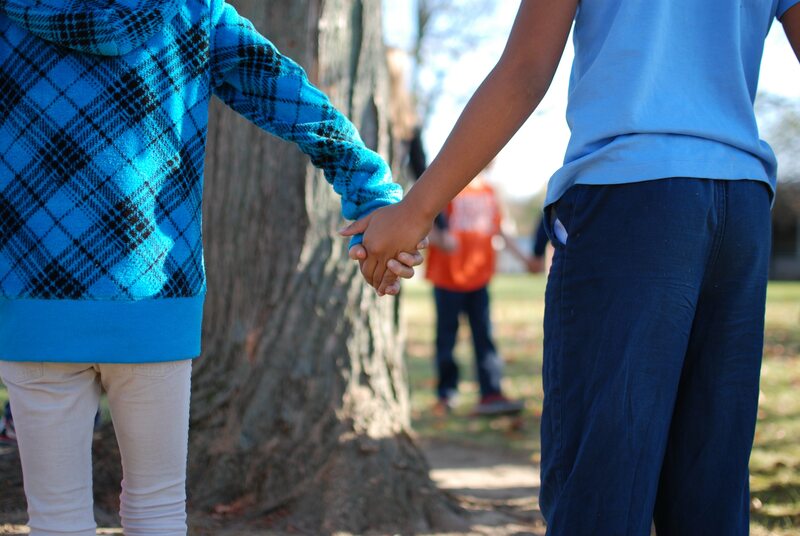 Students apply their new knowledge of the importance of trees to people by advocating for the appreciation of trees in their own community. Students use information and skills gained to create a Tree Appreciation card, including an opinion statement, that invites others to pause and appreciate trees around them.